Product categories of Baking mould, we are specialized manufacturers from China, Baking Mould, Paper Baking Cups suppliers/factory, wholesale high-quality products of Paper Baking Mold R & D and manufacturing, we have the perfect after-sales service and technical support. Look forward to your cooperation! Paper Baking Mold made by paper cardboard 128gsm with PET coated inside . It keeps the good characteristics of non-stick performance and high temperature resistant. Not only that, Cupcake Cup with PET Coated isn't esay to deformation and make your life more tasteful. 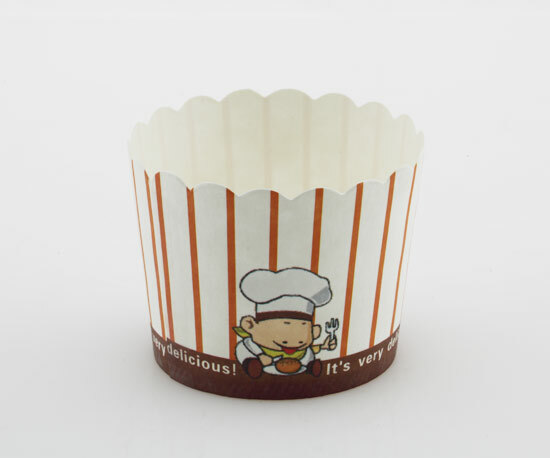 Laminated Paper Baking Mold no need baking pan when oven, it is convenience for baking different formular cake.